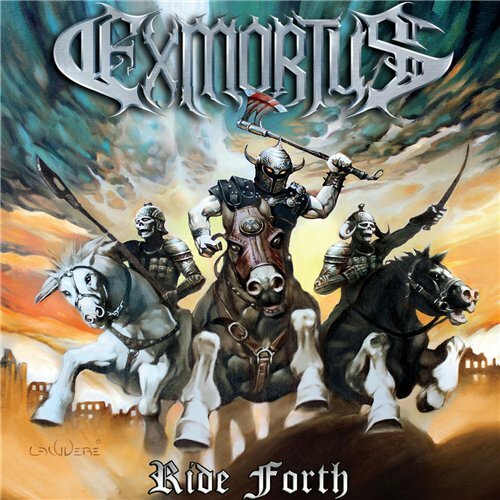 I can tell you one thing, no one could imagine fourteen years ago that a band such as Exmortus will become one of the most successful bands nowadays and they have achieved due to their dedication, technique and vision, clearly apart from the pack their mix of thrash riff, death growl vocals and their particular fusion of neoclassical and metal elements, makes "Ride Forth" another exciting piece to listen in their discography. 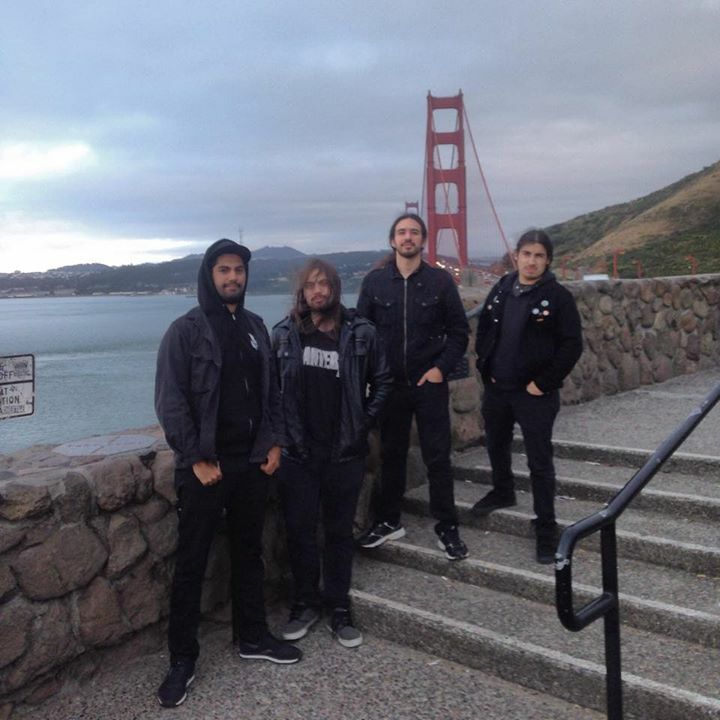 "Ride Forth" was released last January 8th under Prosthetic Records and contains nine killer tracks with a solid structure of thrash and palm muted riffs, an impressive repertoire of arpeggios all over the tracks, ceaseless double bass drum and vicious growl vocals, the production is top notch, clear, tight and all details meticulously maintained, the songwriting seems to be a follow up to their previous album "Slave to the Sword" released almost two years ago, the time gap between the albums, brought a slight change in the band's lineup adding a new bassist Mike Cosio (ex-Abysmal Dawn) the remaining members are drummer Mario Moreno, guitarist Jadran 'Conan' Gonzalez and last but not least the guitarist and vocalist David Rivera, with this lineup changes seems like they took care of the deficiencies they suffered in the past, giving more personality and potential to their sound. The album opens with "Speed of the Strike" which is made of infectious riff, fast heavy and their neoclassical touch, mercilessly hooks you up with "Relentless" the second track and keeps a straight forward attack to your senses sharp guitar riff, powerful and aggressive drumming, while the bass resounds distinctive in the background, the growl vocals complements this cut, "For the Horde" is the catchiest cut off the album, intricate melodies engage the listener for a lethal dose of soloing, "Let us Roam" delivers a solid drumming foundation for the guitar work which excels due to the ferocity inflicted, "Black Sails" and "Hymn of Hate" retains the listener with power of ceaseless exchanging riff for what's coming ahead a crushing and electrifying cover of "Appassionata" by Ludwig van Beethoven, I have mentioned before and keep saying the musicianship this guys have reached it is unmatched, all the instruments delves into a complexity and texture that makes you goose bumps, next is "Death to Tyrants" and "Fire and Ice" both are the closing tracks and tends to lose somehow the ecstasies created, the riff sounds recycled and the impact is minimum or perhaps the listener is broken after such symphony, that makes you remain senseless. 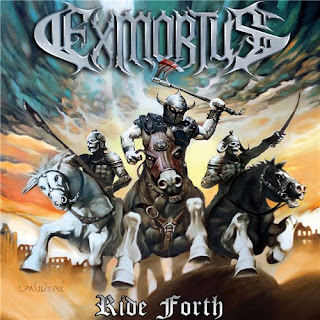 Exmortus, "Ride Forth" is the fourth full length in their discography and call it a masterpiece would be very risk to say, but will exceed your expectations if you like to appreciate the guitar work loaded with arpeggios, resonant riff infected by their unique neoclassical approach and fully engaged with a refined bass notes that shine by itself and supported by thunderous and devastating drum section, then you should listen to this album, if you ask for highlights I can consider seriously "Speed of the Strike", "Relentless" and "Appassionata" however there are couple things to mention the first one if you listened their previous work and compare to this album they offer a smooth transition, which work for me because picks up where they left, but opinions differ and second one the closing tracks in the album will leave you wanting more, anyway it is a highly recommended album.